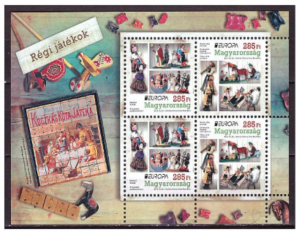 Thanks to all of you 2015 has been a wonderful year at the Hungaria Stamp Exchange! To those long time customers we value your continued patronage, support and interesting correspondence. 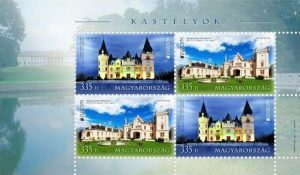 To those of you that are new customers, we welcome you into the Hungaria Stamp Exchange (HSE) “fold”. 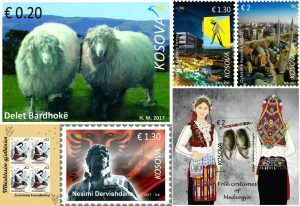 Now we would like to share with you some highlights of our year as well as summaries of the exciting yearsets of Kosovo, Bulgaria, Czech Republic and Slovakia in addition to Hungary. 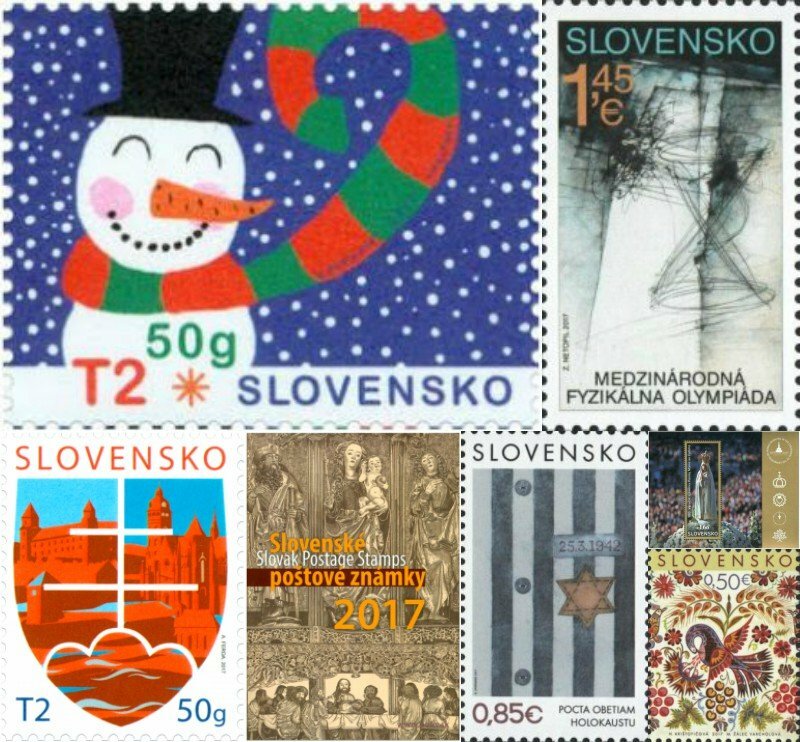 In 2015 we spent a significant amount of time maintaining relationships with Eastern European stamp suppliers, both commercial and individual. 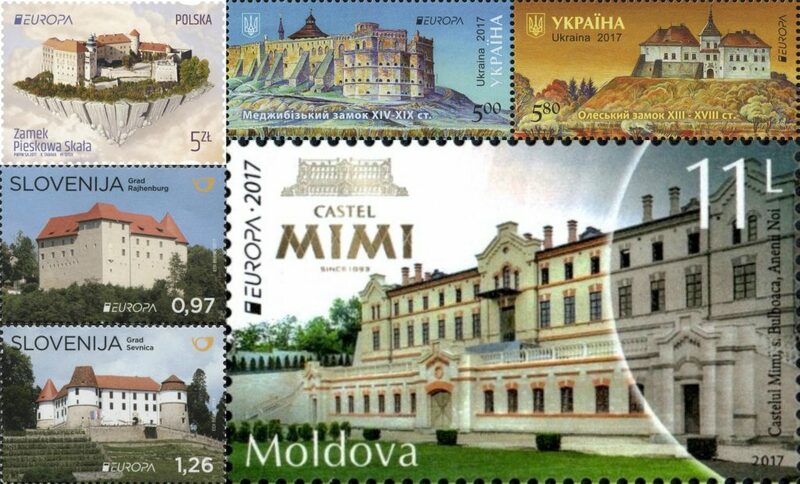 In addition we have expanded our relationships with postal authorities in Hungary, Czech Republic, Slovakia, Kosovo, and Bulgaria so we are able to meet more of the needs of our customers with both older stamps and new mint Year Sets. Many of these new and recent issues are lovely to look at and well documented making the stamps and sets inviting not only to country philatelists but topical collectors as well. 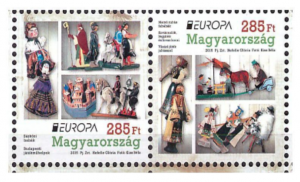 The Europa stamps which are issued by all of the Eastern European countries covered “Old Toys” which are just a delight for topical and country collectors alike. 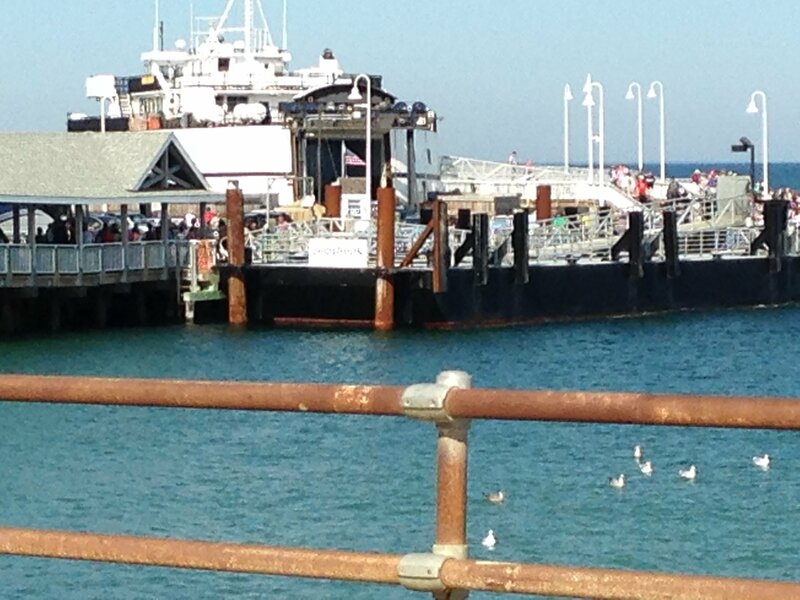 This past summer HSE went “On the Road” and provided a community event at the Oak Bluffs Public Library on the beautiful island of Martha’s Vineyard. The event which focused on the postal stamps of the “Dead Countries” of Eastern Europe attracted a very diverse audience. 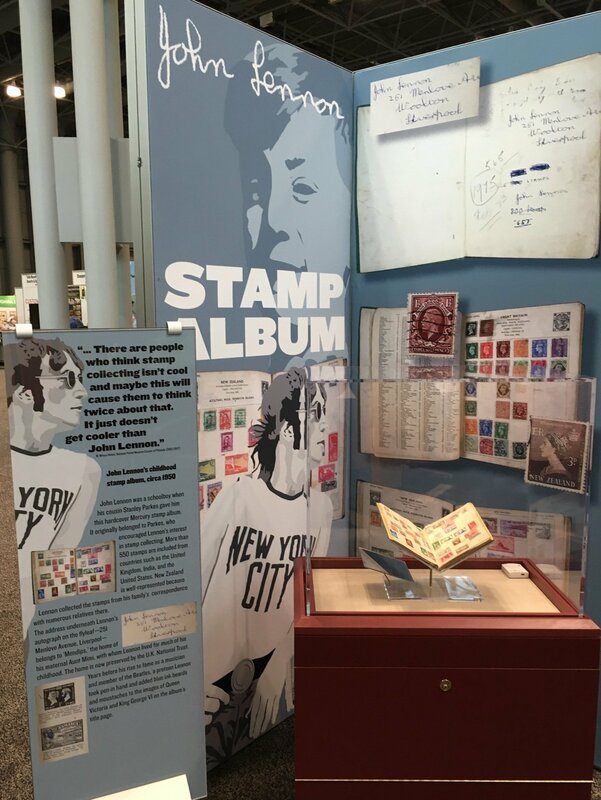 Interests ranged from cultural attachment to the geography to long time stamp collecting. 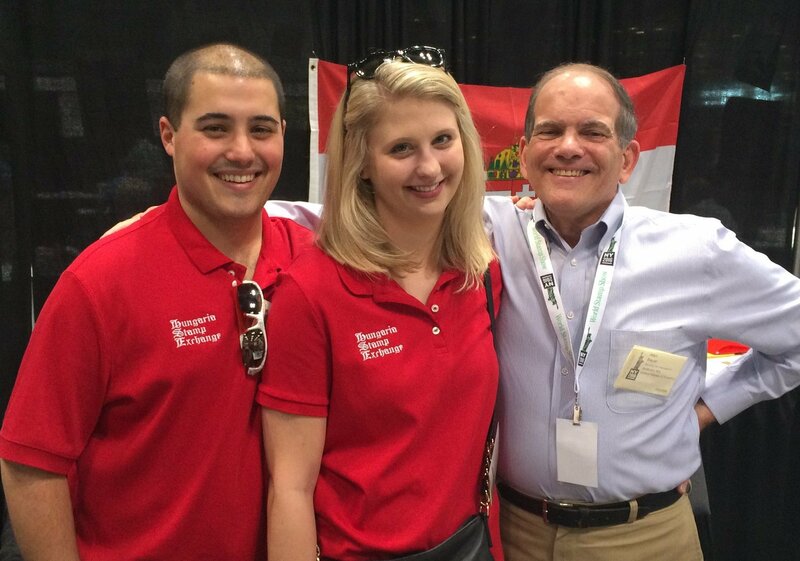 Alan and Diane had a lot of fun conducting the event and sharing the “Dead Countries” Trivia Puzzle with the audience. We appreciate your continued patronage and are truly delighted to make these New Issues and other special offerings available to you. 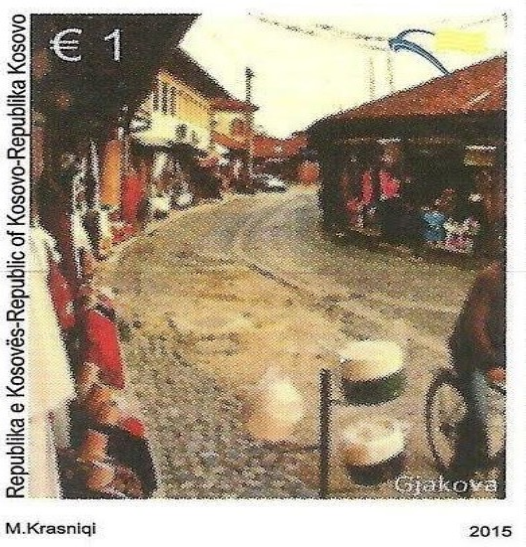 The Kosovo Year Set of 2015 is just lovely! 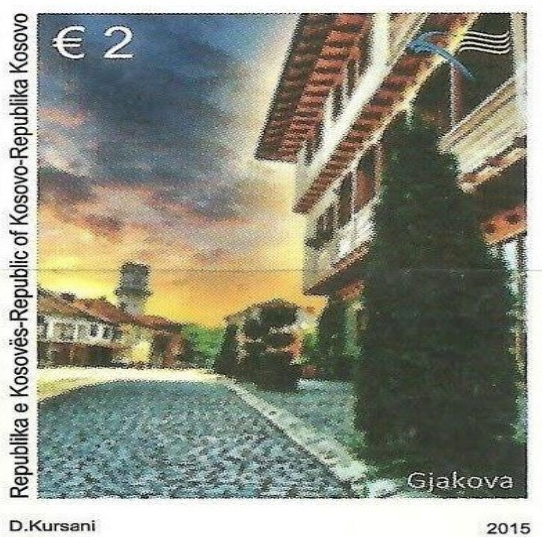 Two of the stamps represent the historic city of Gjokova while one honors intellectual Anton Cetta who was born in Gjokovo. 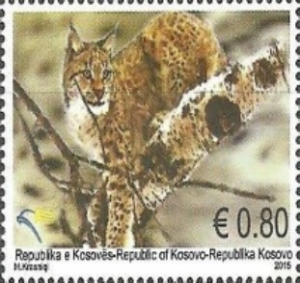 Several other stamps honor martyrs such as Hashim Hajdini and Human Rights Activist Ukshin Hoti, freedom fighters Haj Kodra and four members of the Lieshi family who fell heroically in the Kosovo war for freedom and independence. 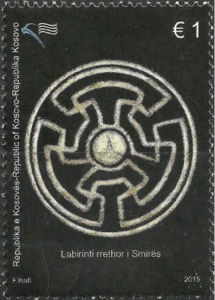 There is a unique stamp of the Smira Circular Labyrinth designed in the image of the Dardanian life cycle and cosmic order. For the naturalists there is a set of the Rivers and Streams of Kosovo, as well as a set dedicated to the Balkan lynx which is almost extinct.For the gastronomic there is set of the Kosovo Vineyards. Kosovo also offers a delightful set of stamps of “Old Toys” as part of Europa 2015 and is depicted in the Topicals section of this newsletter. 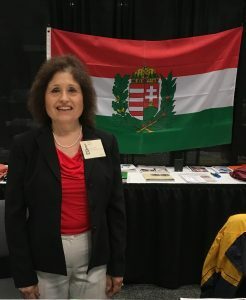 Hungary New Issues continue with a sweeping range of topics from celebrating Space Exploration to recognition of world renowned Performers such as Edith Piaf and Frank Sinatra as well as the Hungarian playwright Jozsef Katona. 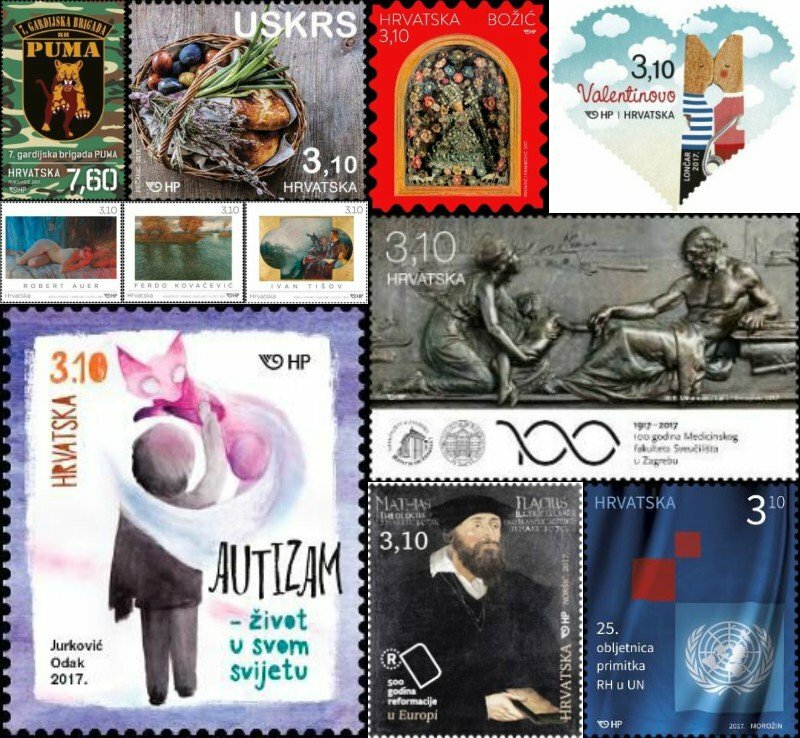 Continuing this year are the series additions to Saints and Blesseds, Treasures of the Museums, Stamp Day, and architecture of the Parliament and other historic buildings.There are also some delightful stamps celebrating Women’s Sports and children. 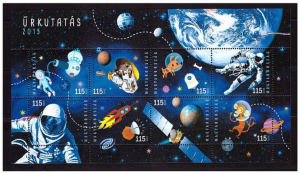 Is a commemorative miniature sheet to record current space research, anniversaries and events on postage stamps. 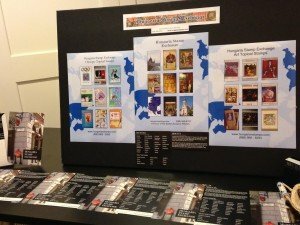 The miniature sheet is intended to appeal to young people by mixing reality and fiction, and photographic and child-like drawings. The sheet contains eight stamps, uses a combination of offset and UV printing methods. The stamp marks the 50th anniversaries of the spacewalks by Alexey Leonov and Edward White. On March 18, 1965 Alexey Leonov became the first person to step into space. He spent 12 minutes outside the spacecraft Voskhod 2. On June 3 the same year, the Gemini 4 astronaut Edward White spent 36 minutes in space outside his capsule. The stamps showing the two topical events depict the space probes New Horizons and Dawn. The former was launched on January 19, 2006 as the first mission in the New Frontiers program. Dawn is the ninth probe in the Discovery program, which will explore Ceres as part of its mission and went into orbit round the dwarf planet on March 6, 2015. Special feature of the minia ture sheet is that under UV light text describing the space research anniversaries and events becomes visible as do the planets of the Solar System and the stylized orbits of the subjects of the topical events, the dwarf planet Ceres and Pluto. 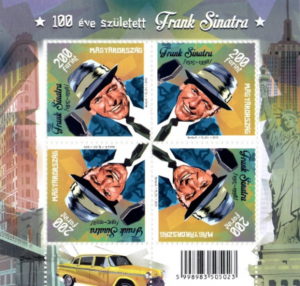 Magyar Posta is issuing a special stamp to commemorate the centenary of the birth of the American actor and singer Frank Sinatra, who won eight Grammy awards, three Oscars and several Golden Globe awards. Magyar Posta is issuing a commemorative stamp to mark the centenary of the birth of the French chanteuse, songwriter and actress Edith Piaf. Edith Piaf (1915–1963) was brought up by her father, who was a street acrobat performer. As she had a weak build, she sang instead of doing acrobatics to earn money with her father. In 1919 she lost her sight as a result of keratitis, and she recovered her sight at the age of seven. She was 17 years old when she gave birth to a child, who died of meningitis not long afterwards. Her talent was recognized while singing on the street. Louis Leplée, the owner and director of the nightclub Le Gerny, launched her career. He gave her the stage name Piaf, which means sparrow in French slang. She first sang on stage in 1935. In 1936 Leplée was murdered and the ensuing scandal could have caused her to return to the streets had not the poet Raymond Asso taken her under his wing. He taught her for three years, wrote chansons for her and managed to arrange her first performance in a revue theatre. In 1941 she was given a role in a film. During the German occupation of Paris she sang regularly for the troops, and organized a gala evening to help the children of prisoners of war. Piaf also helped her Jewish colleagues who lost their jobs or were threatened by deportation. She first appeared on stage in New York in 1947. This was when she met the love of her life, the world boxing champion Marcel Cerdan, who died two years later in a plane crash. As a result, Piaf became an alcoholic, which she remained until the end of her life. In 1952 she married the singer Jacques Pills. Their honeymoon was a giant tour of the United States. They got divorced four years later. By the mid 1950s Piaf’s health had deteriorated but she paid no heed to her doctors’ warnings. She was diagnosed with incurable cancer. On 9 October 1962, seriously ill, she married the singer Théo Sarapo, with whom she scored a hit with the song “À Quoi Ça Sert L’Amour?”. In August 1963 she withdrew to her villa in Plascassier, where she spent the last months of her life under constant care and died on 10 October. 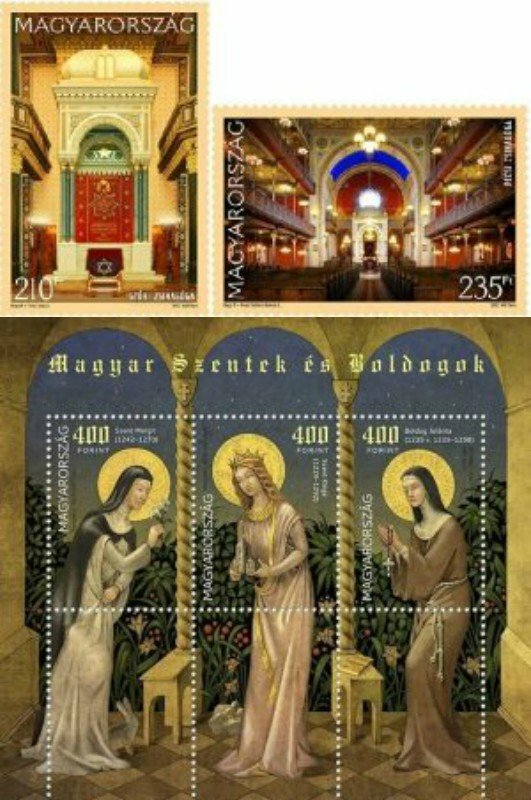 Magyar Posta is presenting the theme of Hungarian saints and blesseds through a series of stamps to be issued over several years. 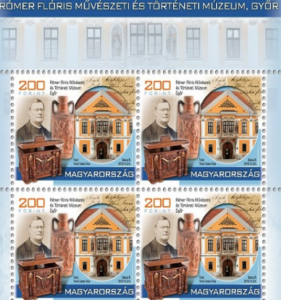 The third part of Magyar Posta’s philatelic series commemorates one of the most important figures in the foundation of the Church in Hungary, Saint Astrik. Saint Astrik (? – ca 1034) was a Benedictine monk, the abbot of several monasteries, ambassador, bishop and archbishop. He became the abbot of the Benedictine monastery in Pannonhalma. In 999 he founded a monastery in honour of Saint Benedict in Pécsvárad, when he was summoned by King Stephen in 1000 to accomplish his most important diplomatic mission, to bring a crown and permission to establish an ecclesiastical organization in Hungary from Pope Sylvester II in Rome. 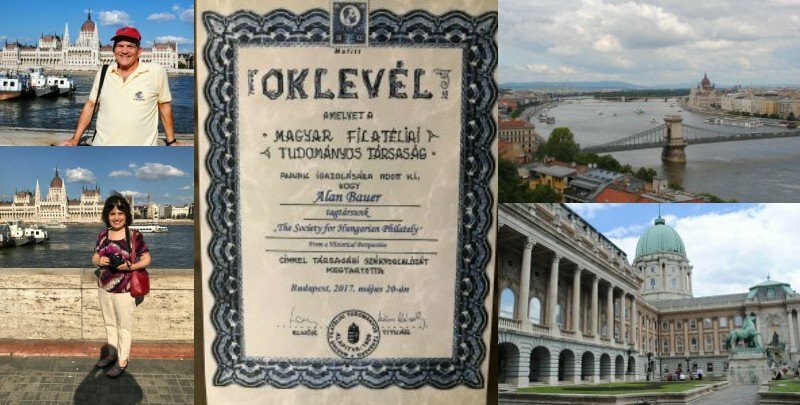 Astrik’s activity was invaluable in establishing Christianity in Hungary and he constantly strove for the salvation of souls by leading an exemplary holy life. 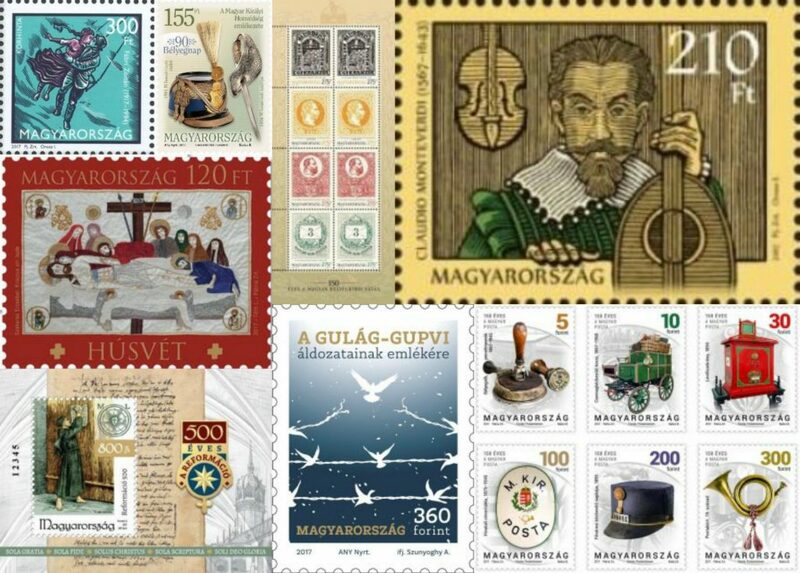 Magyar Posta is presenting the collections of Hungarian museums on special stamps. 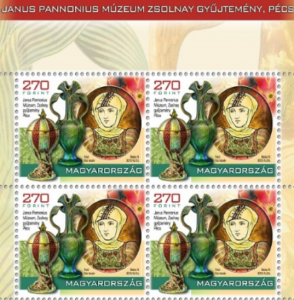 Some of the highly prized treasures of the Rómer Flóris Museum of Art and History in Győr and the Zsolnay Collection of the Janus Pannonius Museum in Pécs are featured on stamps issued in the series . 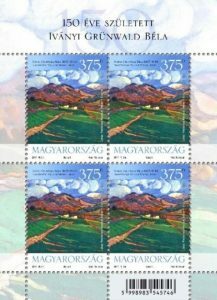 The new issues are in the format of a miniature sheet of four stamps. Flóris Rómer (1815-1889)was born 200 years ago. As a Benedictine monk in Győr, he proposed founding a museum in 1857 as he realised that “antique artefacts” were of use in school education. His endeavours came to fruition on 6 May 1859 when the Imperial and Royal Central Board supervising research into and the maintenance of architectural monuments officially founded the museum. His notable successors considerably improved the collection and named the museum after Flóris Rómer. Zsolnay Collection is housed in Pécs. The objects on display illustrate the development of Zsolnay architectural ceramics from historic revival style ornaments to large scale individual works. Vilmos Zsolnay invented pyrogranite that enabled the use of very colorful ceramics on the façades of buildings. The basis of this Collection was the Zsolnay collection of the Municipal Museum of Pécs. It provides a historical overview of the manufacture of this form of ceramics and was given to the city by Miklós Zsolnay in 1907. The Zsolnay family founded the museum in 1928 to mark the centenary of the birth of Vilmos Zsolnay. 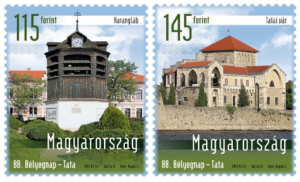 Magyar Posta is marking the largest festival for stamp collectors, Stamp Day, which this year is being held between 26 and 28 June 2015 in Tata, by issuing a stamp block with a surcharge and a commemorative set of stamps with two denominations. Tata lies on the river Által in northern Transdanubia, where t he flat Kisalföld and the Transdanubian Mountain Range meet at the north-western entrance to the Tata valley separating the Gerecse and Vértes mountain ranges. The city of Tata has been inhabited since ancient times, which the archaeological finds suggest the presence of pre-historic man here . The favorable conditions and thermal springs in the locality have attracted man to this spot for thousands of years. Under the kings of the house of Árpád there was a royal estate here. Written records from the 9th century show that this was the site of a Benedictine Abbey. The name Tata first appeared in a written source in 1221. 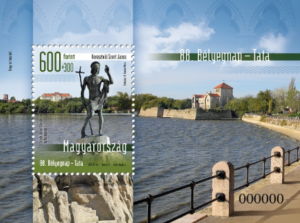 Tata, the “City of Living Water”, was chosen the Hungarian capital of biodiversity in 2010 in acknowledgement of the city’s attachment to natural values. The Hungarian House of Parliament is one of the most beautiful public buildings in the world. 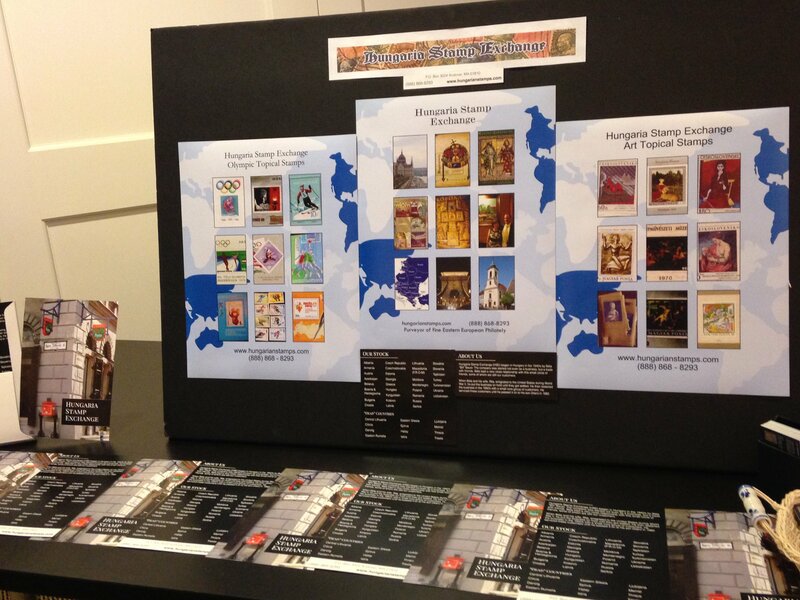 Since 2012 its special architectural solutions have been presented in a new philatelic series. 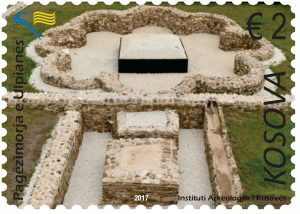 The commemorative miniature sheet issued in 2015 as part of this series contains eight stamps capturing the Hunting Hall and the Delegation Room and some of their distinctive features. The Hungarian House of Parliament is the third largest building in the world used for this purpose. 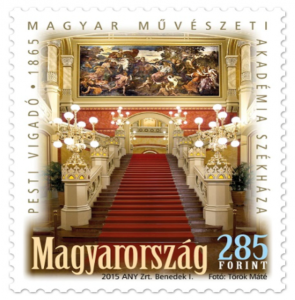 Magyar Posta salutes the headquarters of the Hungarian Academy of Arts, Pesti Vigadó, built 150 years ago, by issuing a commemorative stamp. Mattie the Goose-boy by Mihály Fazekas. 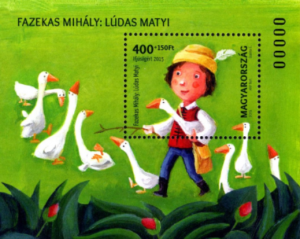 The stamp shows Mattie the Goose-boy with his geese. 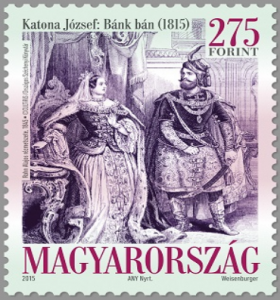 Magyar Posta donates the amount of the surcharge that is HUF 150 for each block, to supporting youth stamp collecting. 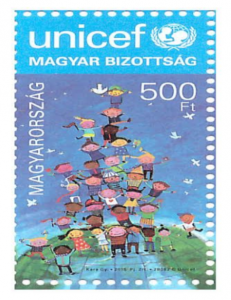 Magyar Posta is issuing regular stamps to welcome UNICEF operating in Hungary for forty years. 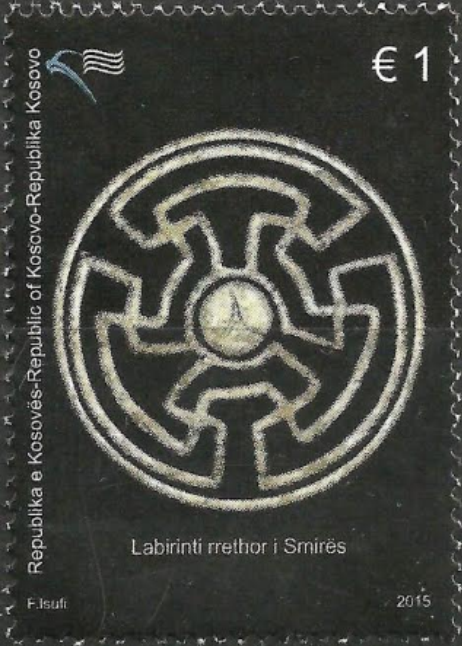 On the stamp design a graphic work entitled “Children’s Tree” can be seen, while on the first day cover the main aims of UNICEF are displayed. 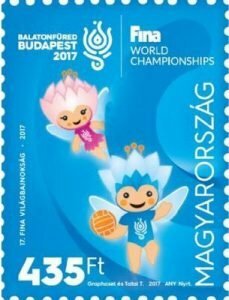 On the special postmark that belongs to the stamp there is the UNICEF Hungary logo. 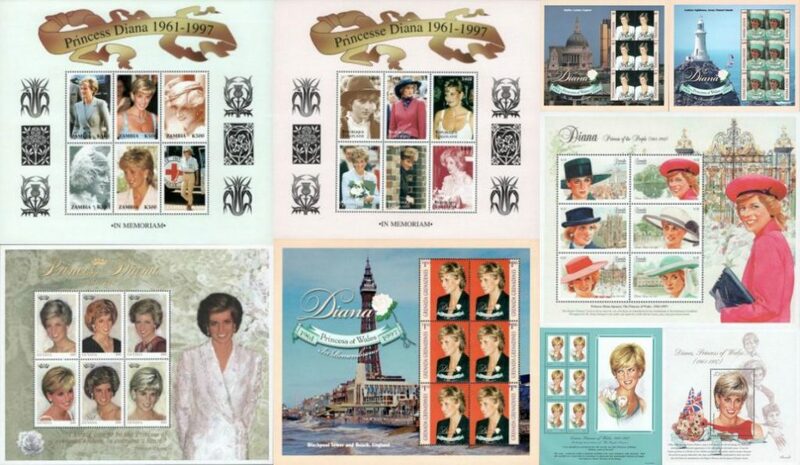 We hope you enjoy viewing all these delightful stamps and souvenir sheets! 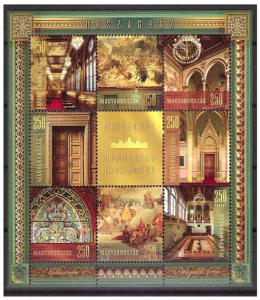 Hungaria Stamp Exchange (HSE) began in Hungary in the 1940’s by Béla “Bill” Bauer. The company was started not even as a business, but a trade with friends. Béla kept a very close relationship with this small circle of friends, some of whom are still our customers. 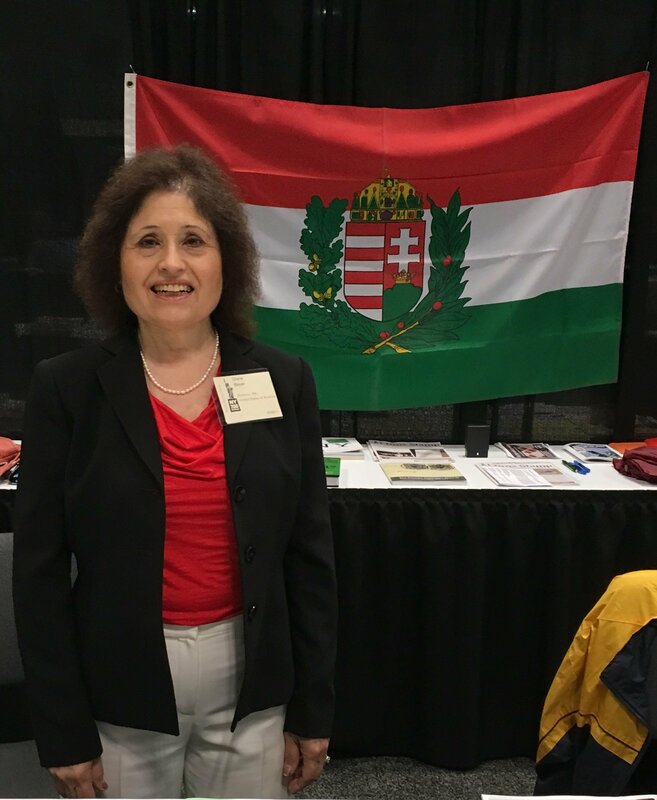 When Béla and his wife, Rita, emigrated to the United States during World War II, he put the business on hold until they got settled. He then restarted the business in the 1950’s with a small core group of customers. He serviced these customers until he passed it on to his son Alan in 1982. The company served the same small group of customers and friends until 2004, when Alan created a web presence for the company, with the assistance of his son, Andrew. 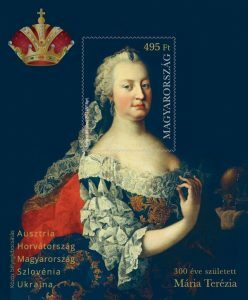 The website www.hungarianstamps.com was born. Following that the business expanded exponentially. 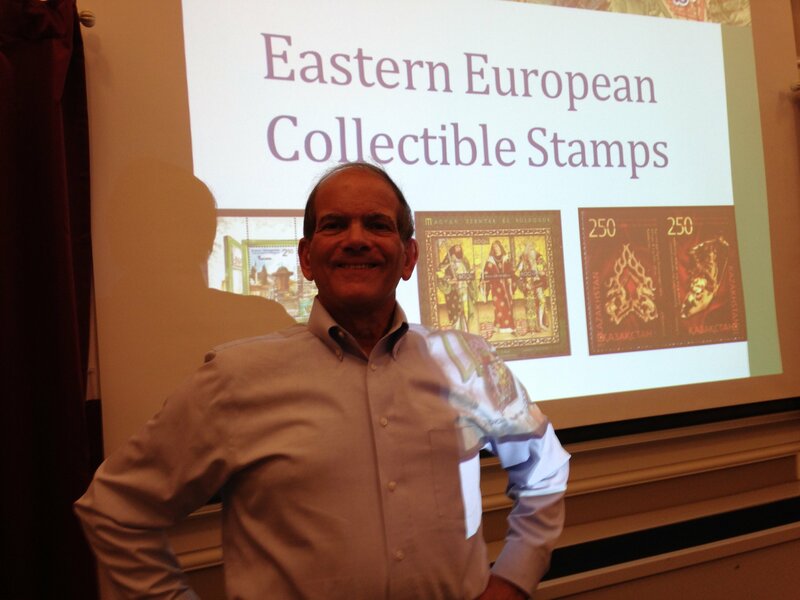 Creating the HSE store with inventories of stamps of all of the Eastern European countries allowed the business to expand internationally and process orders for customers in any country, 24 hours a day. Today we have over 600 active customers on all continents and many countries worldwide. 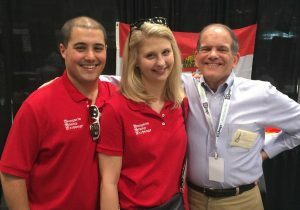 Throughout this growth, we have continued to maintain the highest level of personal customer service to our loyal customers throughout the world. 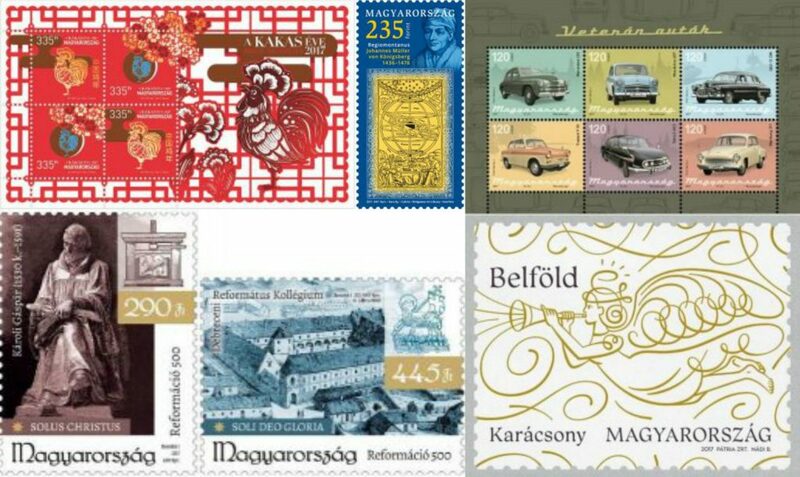 HSE stocks stamps from over forty countries throughout Eastern Europe and Asia. We have a wide range of other of philatelic items such as supplies, catalogs and albums available to our customers and these are all illustrated in our store. 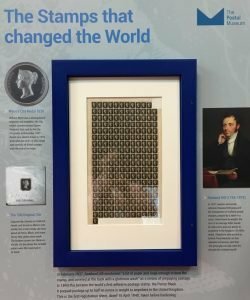 Our online stamp store has a great selection but with a stock of over a million stamps it’s hard to keep them all online, so do let us know if you can’t find a stamp on your want list.